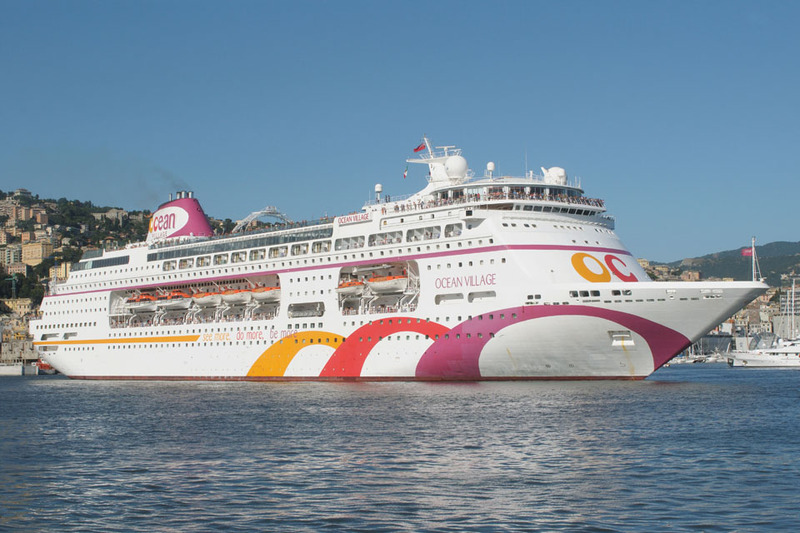 May 28th 1988: Launched for Sitmar Cruises under the name of SITMAR FAIR MAJESTY. 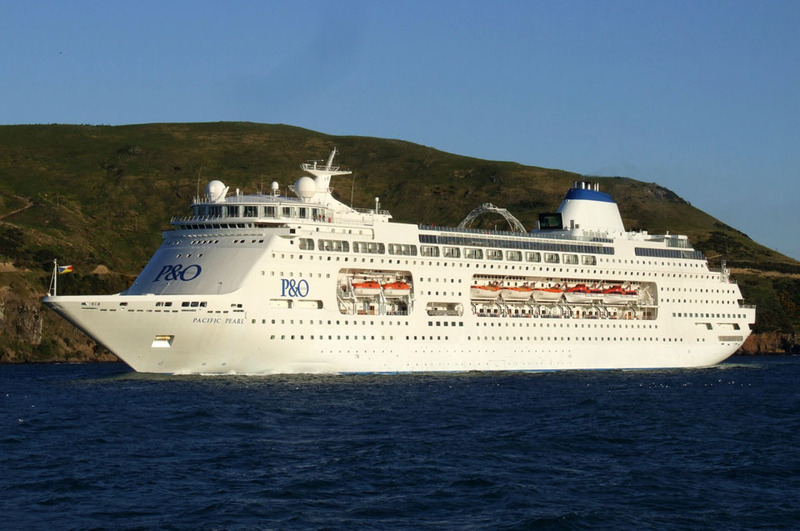 September 1st 1988: Sold to P&O Cruises. 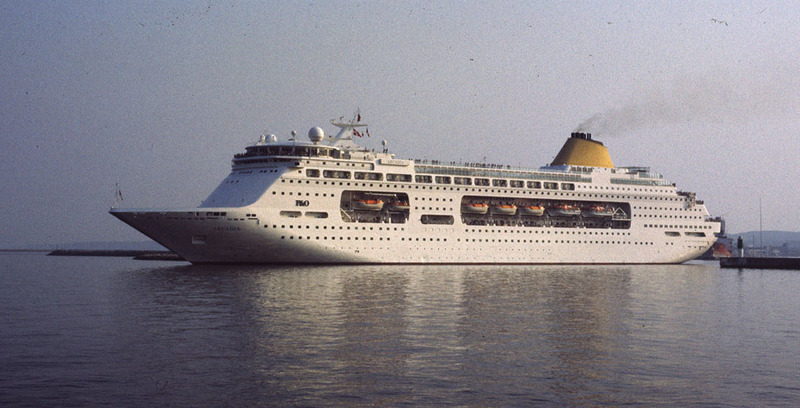 March 15th 1989: Delivered to Princess Cruises, Monrovia, Liberia. 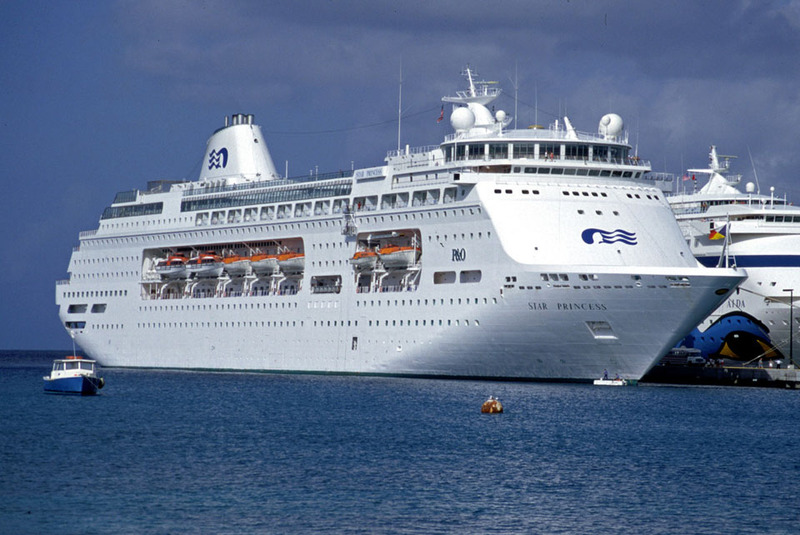 March 23rd 1989: Christened STAR PRINCESS in Florida. June 23rd 1995: “En route from Skagway to Juneau, Alaska, via the Lynn Canal under the direction of a southeast Alaska pilot. 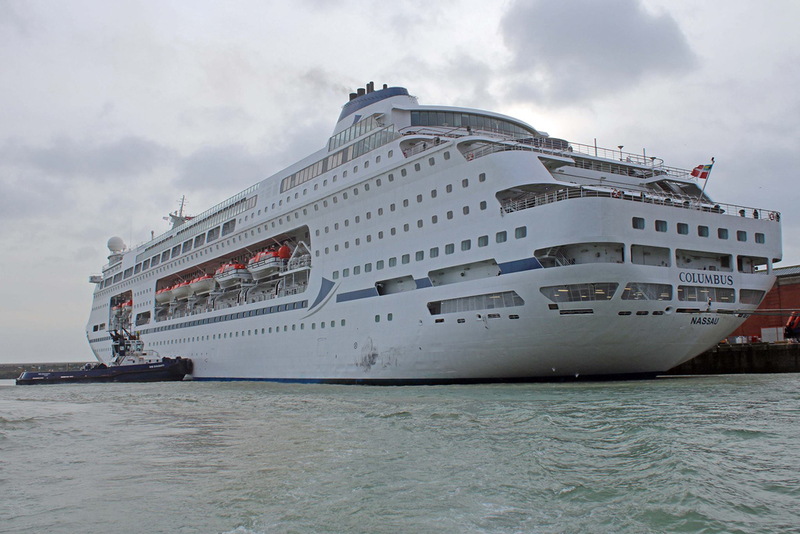 At 0142 on June 23, the STAR PRINCESS grounded on the submerged Poundstone Rock in Lynn Canal, about 21 miles northwest of Juneau. 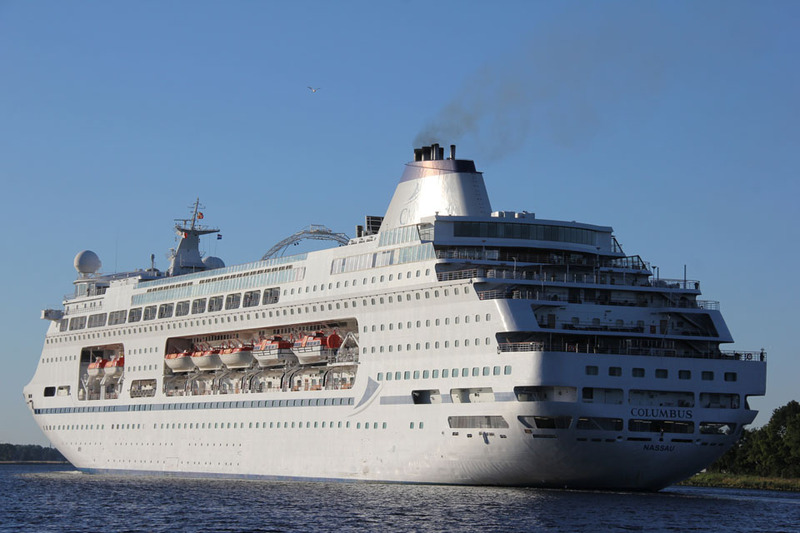 The vessel’s bottom sustained significant damage on the starboard side, including the rupture of oil tanks, which resulted in the loss of at least 5 gallons of oil. 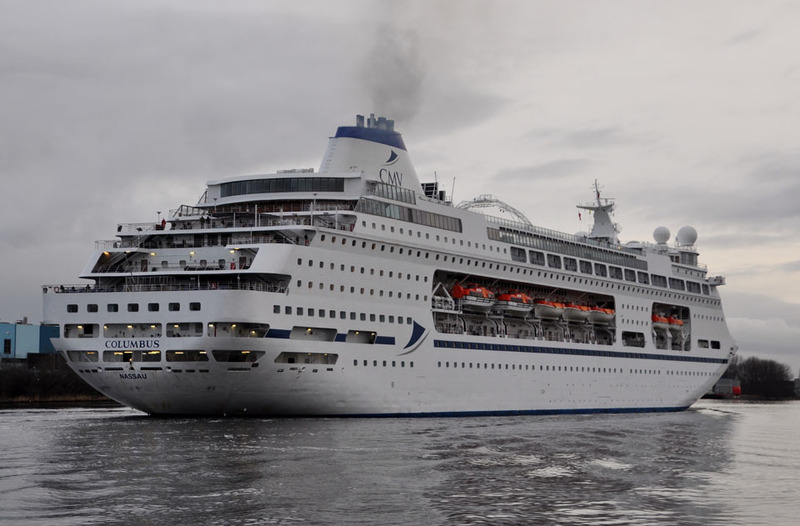 The vessel was piloted to safe anchorage at Auke Bay, Alaska, (about 10 miles north of Juneau) to assess damage and debark passengers. No injuries or deaths resulted from this accident. 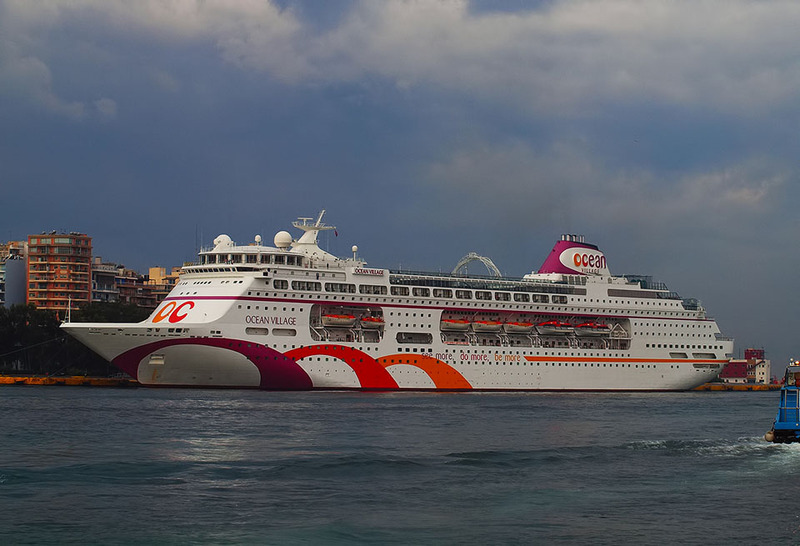 The total cost resulting from required repairs and the delay before the vessel could return to service was estimated at $27.16 million.”. August 7th 1995: Returned to service. November 1995: Arrived at Harland & Wolff, Belfast for refitting for the English cruise market. 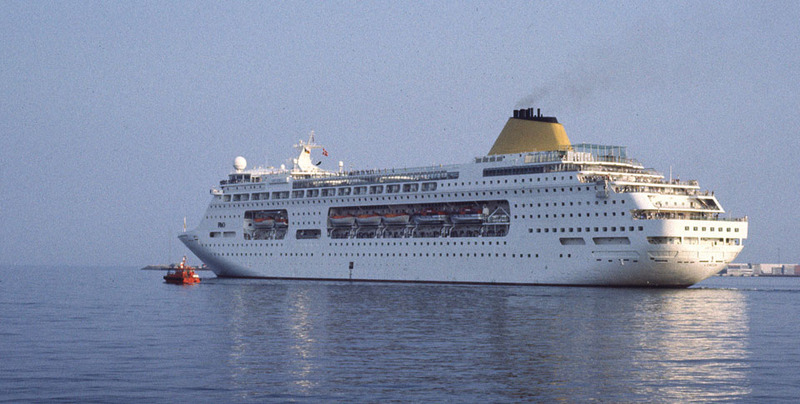 1997: Transferred to P&O Cruises, London, England and renamed ARCADIA. 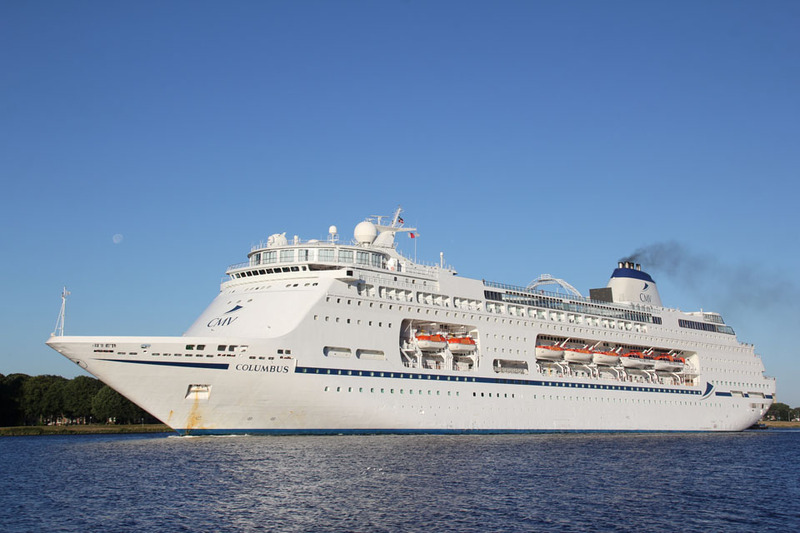 August 2001: Registered to Carnival Plc, London, England. 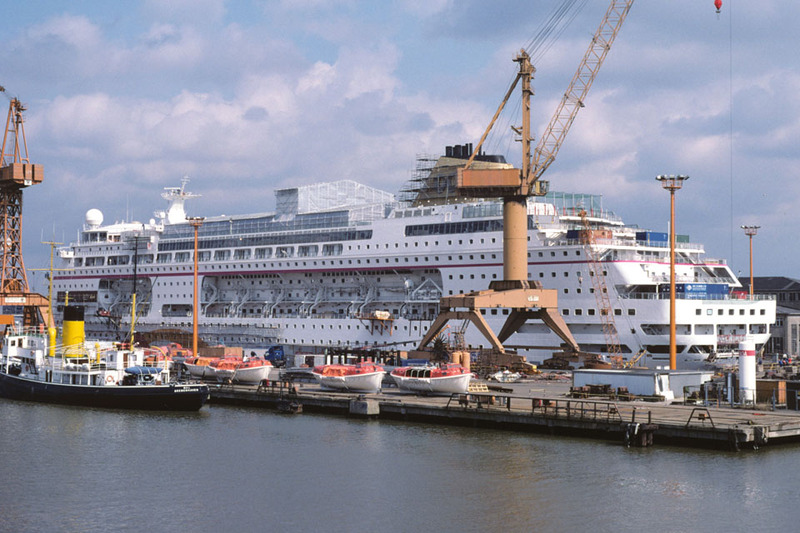 2003: Arrived at Lloyds Werft, Bremerhaven for rebuilding. 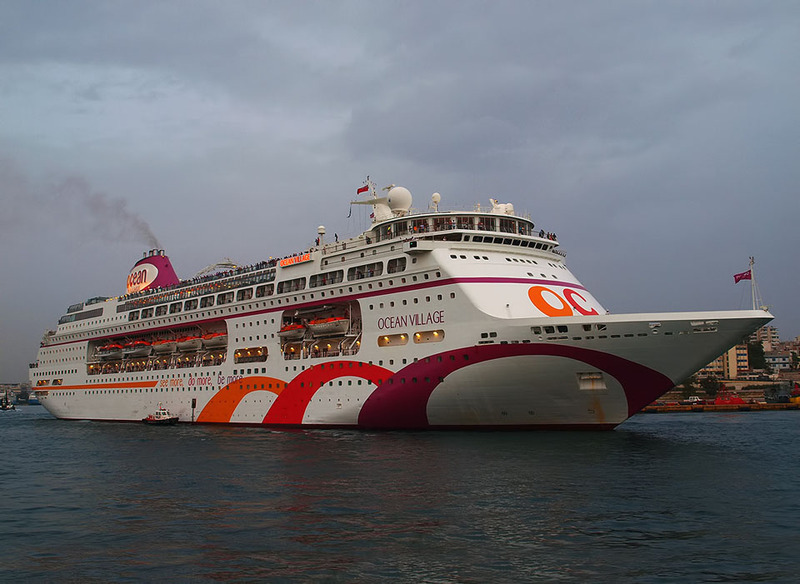 April 2003: Management; Ocean Village Cruises Ltd and renamed OCEAN VILLAGE. 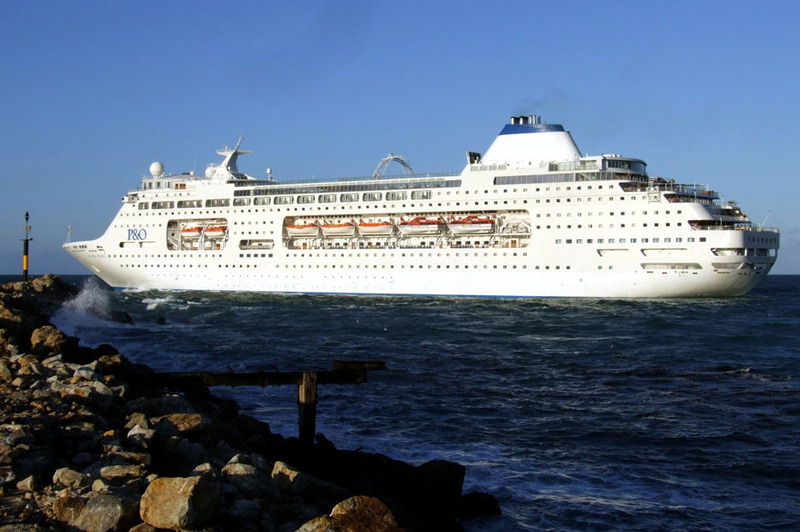 May 2003: Commenced cruising in the Mediterranean and Caribbean. 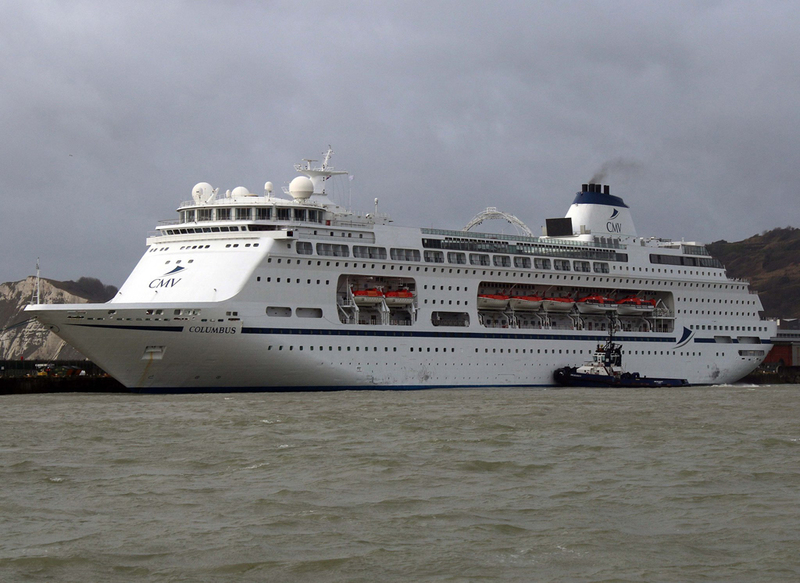 December 2010: Management; Carnival Australia and renamed PACIFIC PEARL. 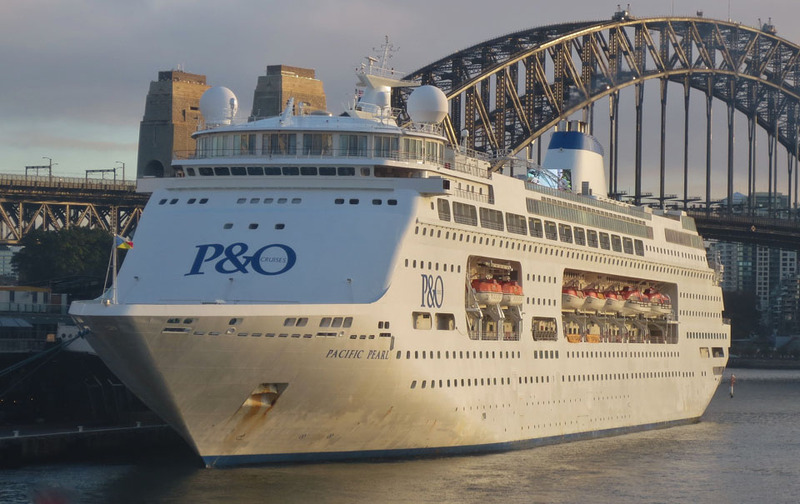 December 22nd 2010: Commenced cruising around Australia/New Zealand for P&O Cruises Australia. 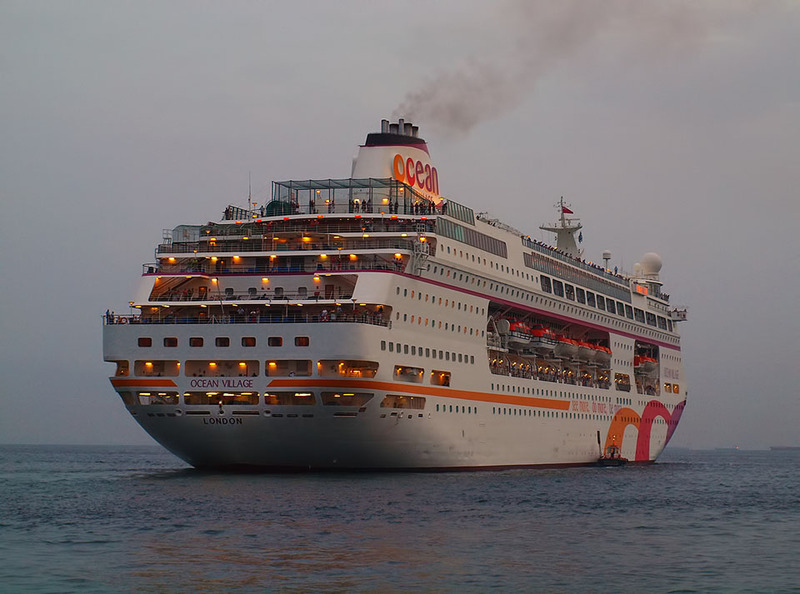 April 12th 2017: Arrived in Singapore where she completed her sailings for P&O Cruises Australia. 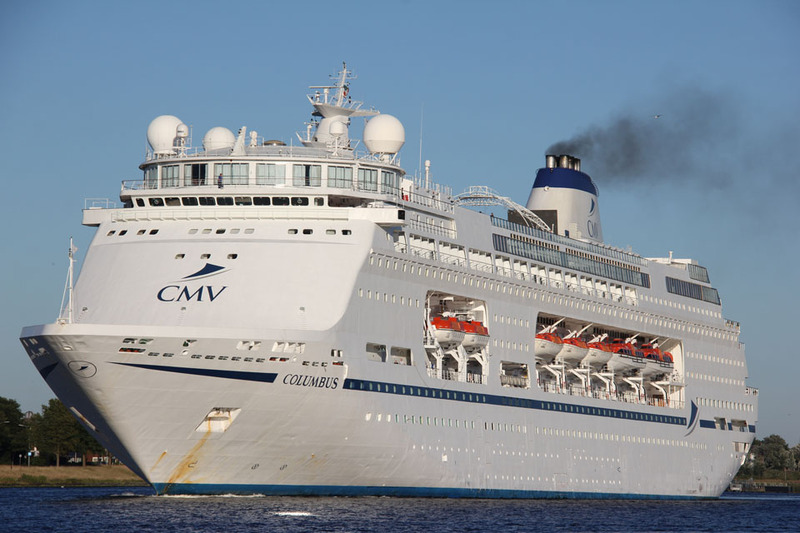 May 2017: Registered to Lyric Cruise Ltd, Nassau, Bahamas and renamed COLUMBUS. 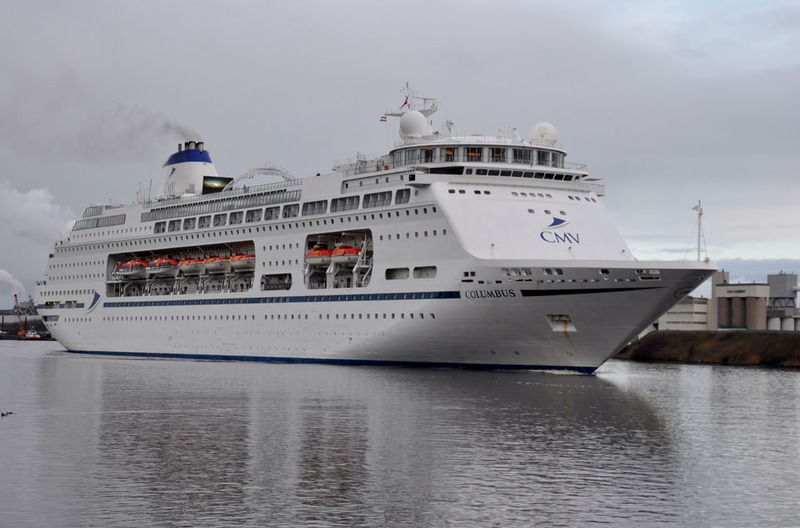 2017: Commenced cruising for Cruise & Maritime Voyages. December 20th 2018: Arrived in Dover. All information is believed to be correct and no responsibility is accepted for any errors or omissions. All items included in this article are subject to © copyright. 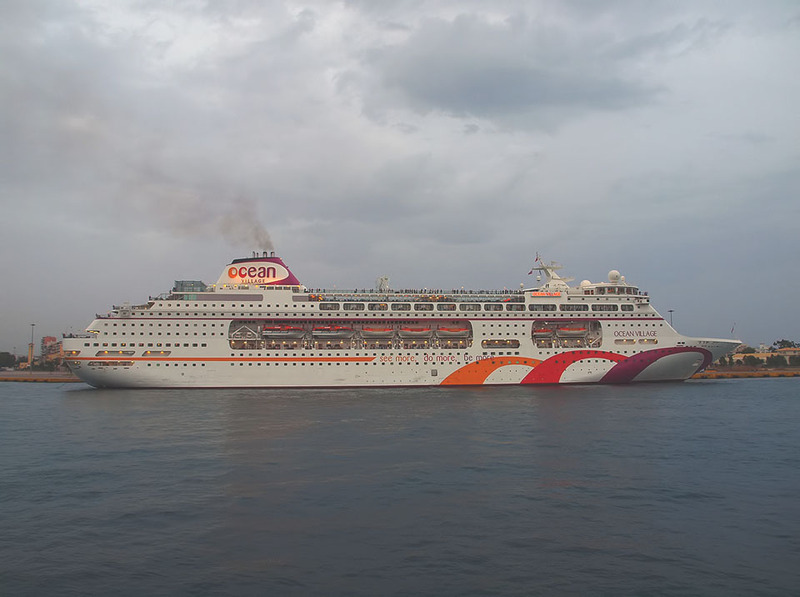 We would like to take this opportunity of thanking: © Nigel Scutt (Dover Strait Shipping), Brian Fisher, Frank Heine, Chris Howell, Tony Martin, Mikkel, Dennis Mortimer, Willem Oldenburg and Erwin Willemse for their assistance in producing this feature.